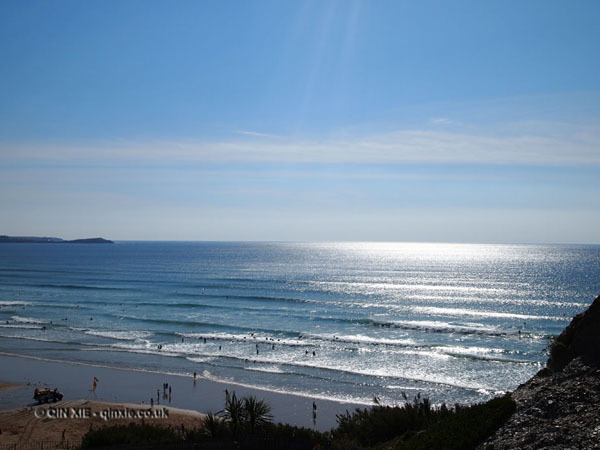 When it comes to photo opportunities, the Valley of the Kings and Valley of the Queens has to be the worst. It’s not that there’s nothing worth photographing but rather, you’re not allowed to photograph anything beyond the entrance of the sites. 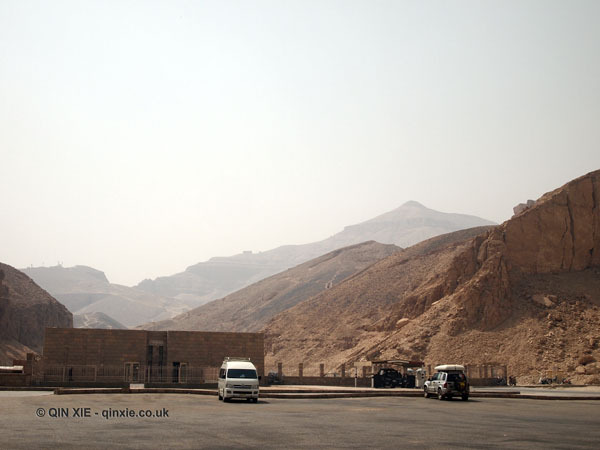 So this one from above was taken in the car park of the Valley of the Kings with the peak in the background showing a “natural pyramid”. This was not always the case of course. There was, once upon a time, occasions when you could take photos both in the site and inside the tombs. 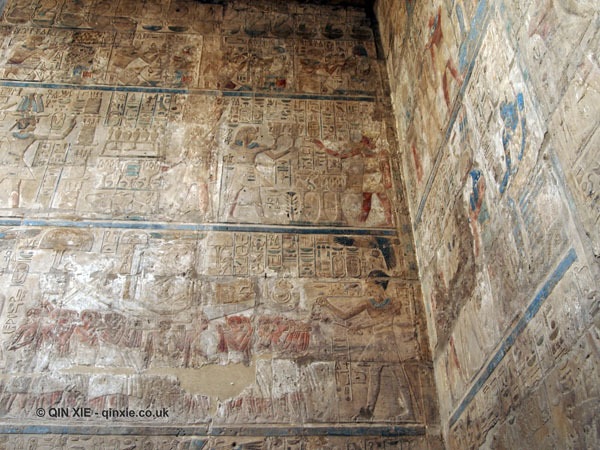 Now it’s feared that flash photography will damage the hieroglyphs in the interiors. You’re not wandering around in the darkness though as the tombs are actually fairly well-lit. And for the most part, they’re not really big enough to get lost in. It’s harder to imagine without photographic evidence but trust me when I say that inside these tombs are vibrant hieroglyphs. 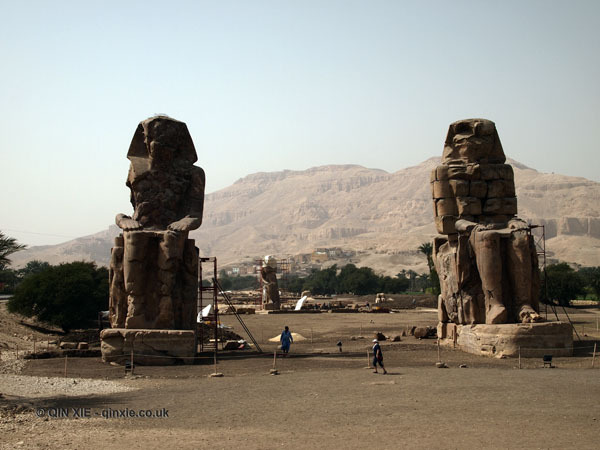 Imagine something like this from Luxor Temple but much more colourful and, sometimes, much more intricate. The carvings are generally of hieroglyphs rather than images though. 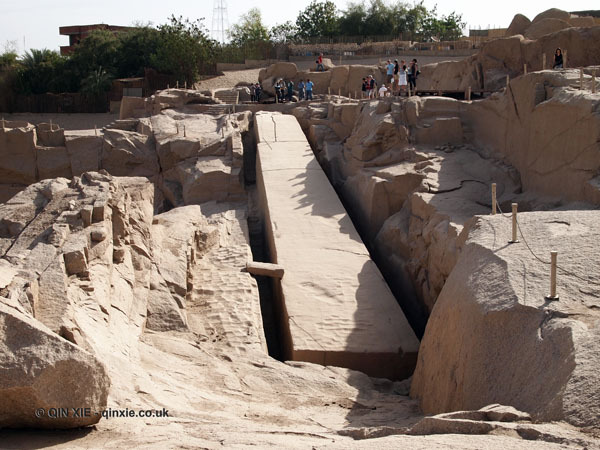 In the most part, the two valleys give visitors an opportunity to visit some of the already excavated tombs and see the would-be resting place of the former Pharaohs. If you’re short on time, it might be worth knowing that the Valley of the Kings usually has more elaborate tombs. King Tutankhamun’s tomb is something of an exception as it’s the most recent discovery by Howard Carter in 1922. It’s entrance was semi-covered by the entrance of another tomb, which explains why it was a rather surprise discovery but also why it remained relatively intact. It’s the one tomb where you could imagine the former glory of a Pharaoh’s tomb. The walls are not only full colour and filled with hieroglyphs, covering every inch of the wall, but the mummy is also still housed inside the tomb. The artifacts though, like other tombs, are mostly at the Egyptian Museum in Cairo.